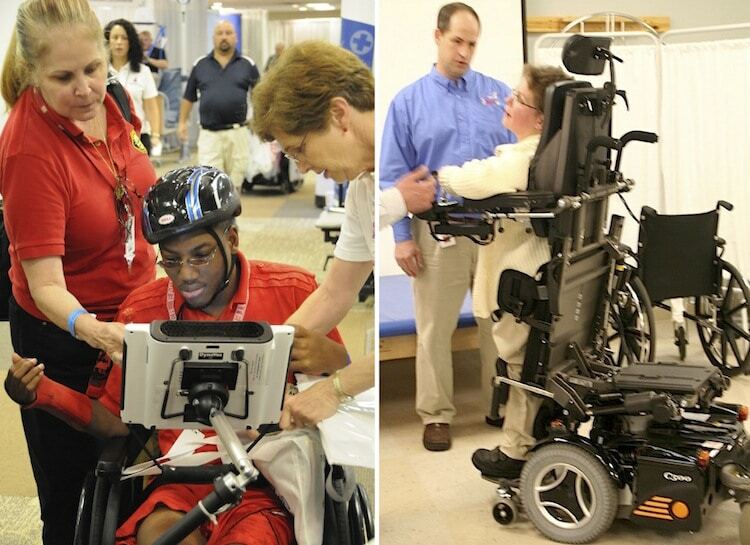 Assistive Technology Practitioner (ATP) is a professional that is involved in the healthcare industry. They specialize in providing the correct devices that offer individuals independence and fulfills an individual’s daily needs. Once you are able to obtain a degree in rehabilitation, you will be able to apply for an ATP license to be able to help people with disabilities. You must have a certain amount of total hours to be considered for an ATP position. Within the ATP circuit, there are specific jobs that meet certain criteria for in depth studies, such as an SMS, or Seating and Mobility Specialist. This is a person who is highly qualified to tell an individual what sizing they need and what type of seating would suit their needs. There are definitely some steps that need to be taken in order to be considered a wheelchair expert. The easiest way to get your foot in the door regarding wheelchair certification is to check out the official website called RESNA, to educate yourself on the industry and to check out the requirements in order to become an ATP or SMS. As mentioned above, you may require a certain amount of hours in school to be considered for certification. There is also an alternative to this, when you accumulate enough hours with experience on the field, such as face-to-face customer service. You should consider downloading the application for certification from the RESNA official website, there is a $500 fee that needs to be payed for your application to be valid. You must schedule an appointment to climb up a level to SMS, you will need to take a test for this to be deemed qualified as a wheelchair expert. There is also a fee for this one, $250 fee. The great thing about the RESNA website is that it also provides a ton of information if you are thinking of taking your test soon, you can study directly on the website or print it to make highlights to remember for the exam.